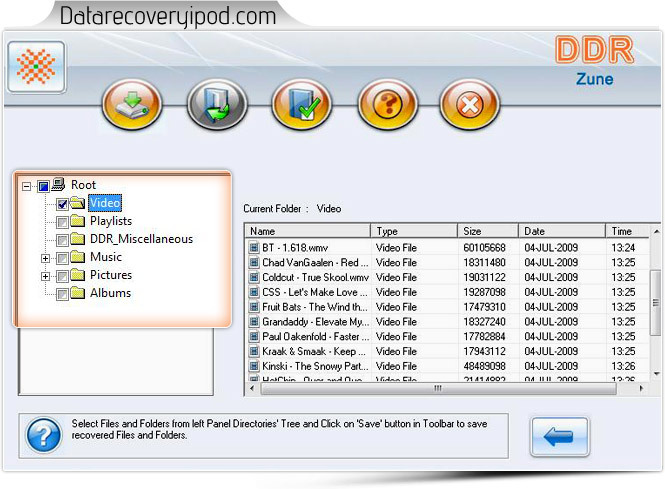 Select File System (Zune mass storage disk) for recovery and click on Next Button. 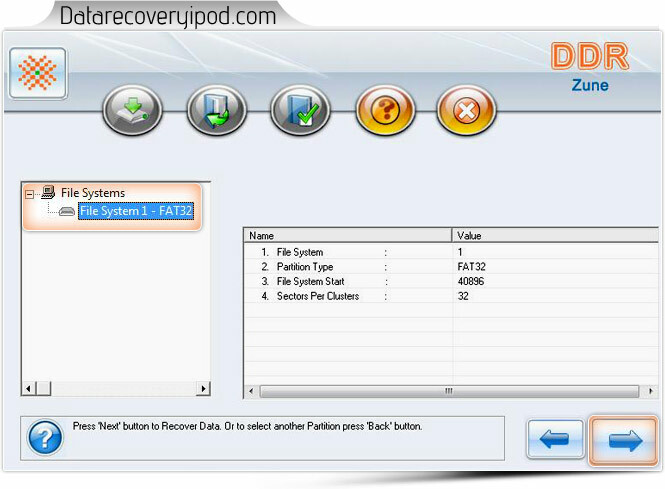 Currently performing disk scanning using advanced search recovery mode. After scanning result is shown in tree structure form, select folder from left to view corresponding details like Name, Type , Size etc.